I saw this base on Furaffinity by one of my friends, and I just had to do this picture because it was so cute and so fitting for this character. 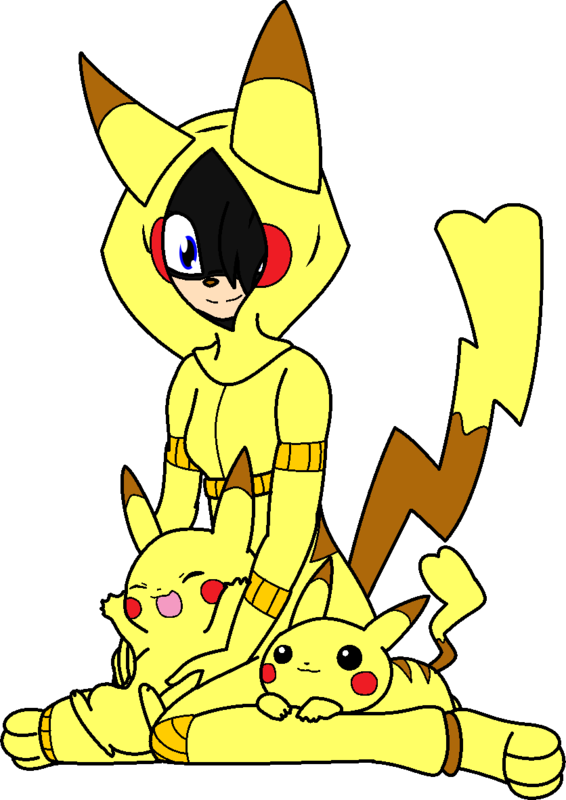 Angelina-Jane loves the Pikachu evolution line in the Pokemon series, which is why she has a outfit to dress up like one. Just seeing the trio with their fuzzy red cheeks, their cute eyes and their cute little paws, it just makes wanna cuddle them all.